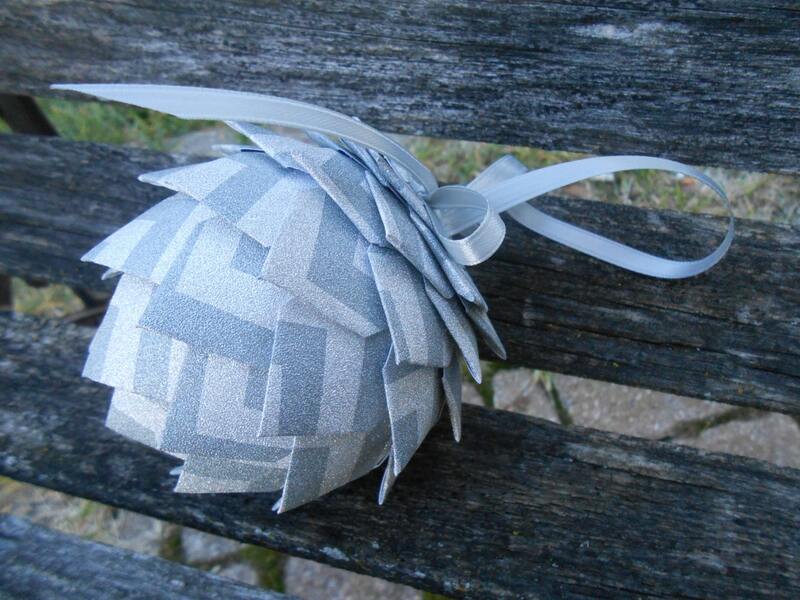 This ornament is made from a really shiny, glittery silver paper. 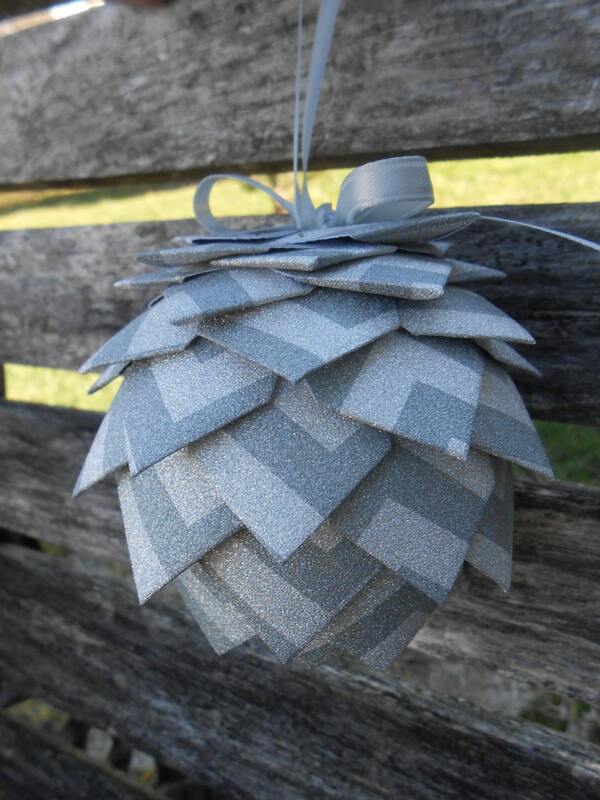 It has a chevron pattern, in two shades of silver. 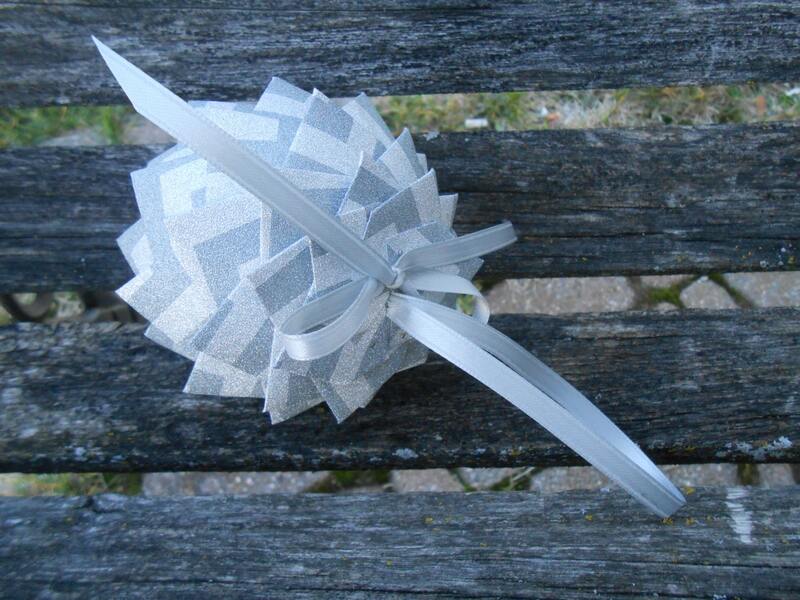 It also has a silver ribbon for hanging. 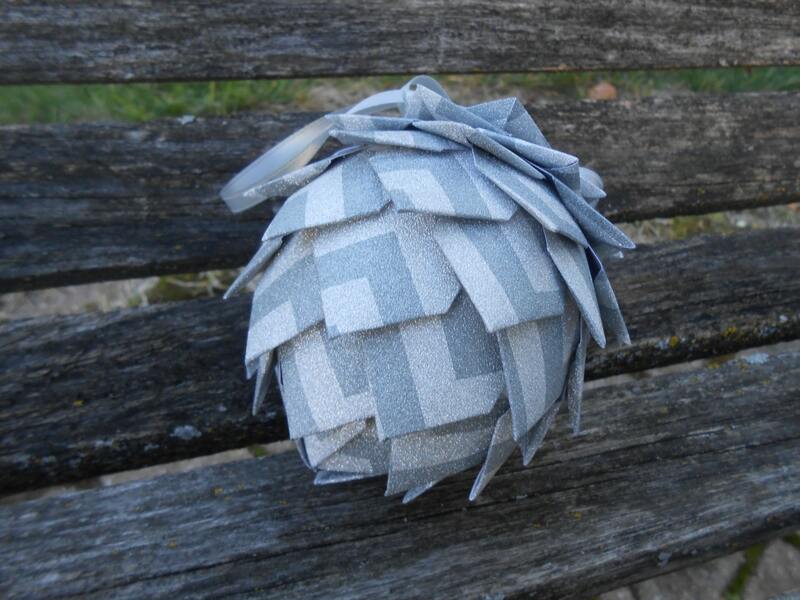 It is very lightweight, as it has a foam ball underneath. 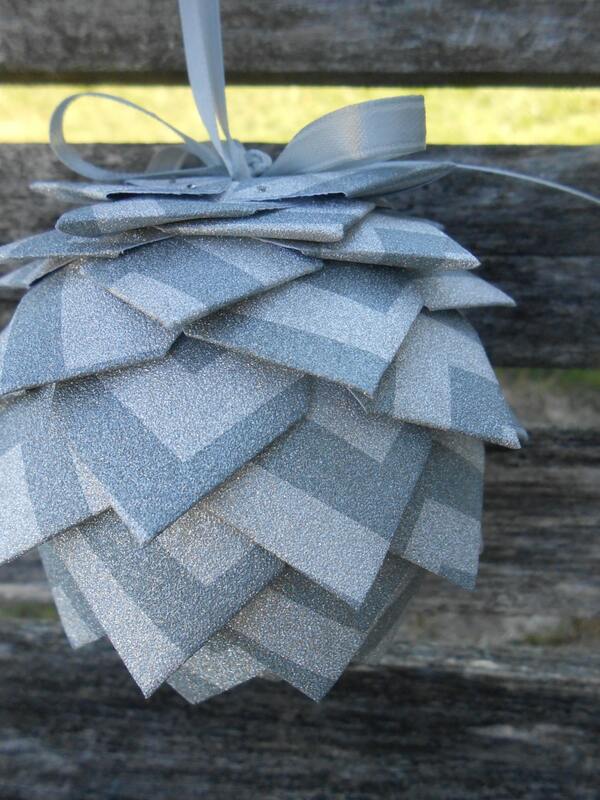 The ornament measures 3.5".